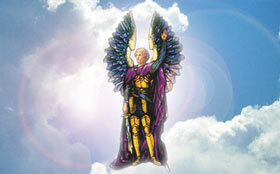 There are retreats of the Lords of the Seven Rays, whom we call ascended masters. These masters have opened their retreats as Universities of the Spirit. 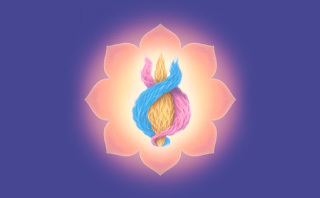 The ascended masters teach us, through the Keepers of the Flame lessons sponsored by Saint Germain, how we can (as we go to sleep at night) pursue meditation, visualization, prayers and decrees that we might enter the etheric body. 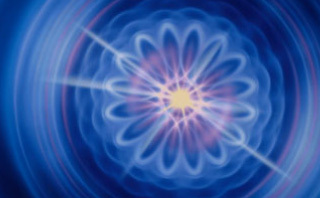 Then our souls can journey in the etheric body to the etheric plane where these retreats are. Because of an inner learning process that has begun to percolate into the outer mind, whether through questioning, through seeking, or dissatisfaction with one's current state of awareness, there has come about a sense of pursuing the path and arriving at the place when the full awareness should come to you of what you have been learning on these inner planes of being even while you are functioning on this plane. 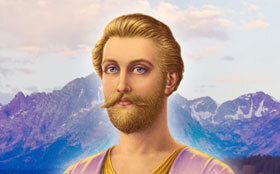 In studying the Lords of the Seven Rays, we begin with beloved El Morya, known as the Lord of the First Ray. He may look fierce, but he is fiercely devoted to the Will of God because the first ray is the ray of God's Will. That devotion to the Will of God shines in him in these following embodiment when anyone of you may have known him and walked with him. He was Abraham (2100 BC), Melchior – one of the three wisemen, and Arthur – king of the Britons. He was Saint Thomas Becket (1118 – 1170) – Chancellor of England, friend of King Henry II, and then Archbishop of Canterbury. He came into conflict with the king of the rights of the Church and shortly following Christmas on December 29th he was murdered in Canterbury Cathedral by four knights. They had taken lierally Henry's remark that he wished to be rid of ‘this turbulent priest'. The strength and the courage of beloved El Morya, just in these embodiments, is a guiding light to all who know him and feel the presence of his love. Morya is very straight-forward, very direct and very much active in the affairs of state today as he was in his embodiment as Saint Thomas More, Lord Chancellor of England.